Bill Strietmann. Ohio Brokers License, 2000. Salesman License, 1978. 2000-2014. 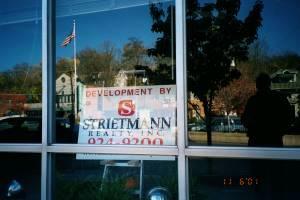 Strietmann Realty, Inc., Bill Strietmann, Broker. Residential and commercial representation. Personal investment and development. 1995-2000. Associated Realty Consultants, Ray Lutter & Bill Strietmann partners. Residential management and residential representation. 1982-1995. El-Ray Realty, Ray Lutter, Broker.. Managed single family homes for transferred executives. Represented residential sellers and buyers. 1978-1982. Fred'k A. Schmidt, Inc., Bill Grogan, Broker. Sold and leased commercial property, and prepared estate appraisals. Mike Schmerge. Ohio Salesman License, 2012. 1998-2012. Re-Invest Company. Sale and renovation of distressed properties. 1990-1998. Fidelity . Investment Advisor and sales. 1985-1990. American Mortgage Corporation. Mortgage Loan officer. Jorge Sanchez. Xavier University Business Student. Graduated, BSBA, Jan 2018. Spanish translation. Not a licensed salesman, Jorge ensures that critical information is understood.